A Delta Air Lines passenger with multiple sclerosis was allegedly tied to a wheelchair with a dirty blanket after the company failed to provide her with appropriate transport facility. Maria Saliagas has been suffering from multiple sclerosis for the last five years, but, despite her condition, she kept up with the tradition of traveling to Europe with her husband. Usually, Saliagas is provided with a special wheelchair with straps to help her sit upright. “I definitely know that they’re a good airline, I’m not doubting that at all, but in this specific situation, there was no courtesy, no respect,” Saliagas’ son, Nathan told ABC affiliated WSB TV. Nathan added that he coordinated with the airlines in order to ensure the specialized wheelchair will be provided for his mother upon reaching her destination on April 1. However, he wrote in a Facebook post, not only did the company not provide proper transport facilities for Saliagas on her way from Atlanta to Amsterdam, she also had to endure the “physically and emotionally abuse” from a Delta employee. “The Delta employee thought it would be appropriate to tie my mother with someone else's dirty blanket, in such a way it has left bruise marks on her arms,” Saliagas said. “When she started crying, she was told to 'shut the f--- up' or she will be 'left there.'" Although the Saliagas family was offered 20,000 SkyMiles for the inconvenience that Nathan’s mother had to go through, he said he hoped his complaint would force the airlines to opt for a more comprehensive policy change regarding the treatment of the ailing and disabled passengers. However, in a separate statement to FOX News, Delta Air Lines said their version of the event did not line up with the customer’s account. “We are disappointed that our customers didn't have a satisfying travel experience and will ensure that their return flight exceeds expectations. While Delta always looks for ways to improve the overall customer experience, our findings do not align with details shared by the customer’s family,” a representative said. 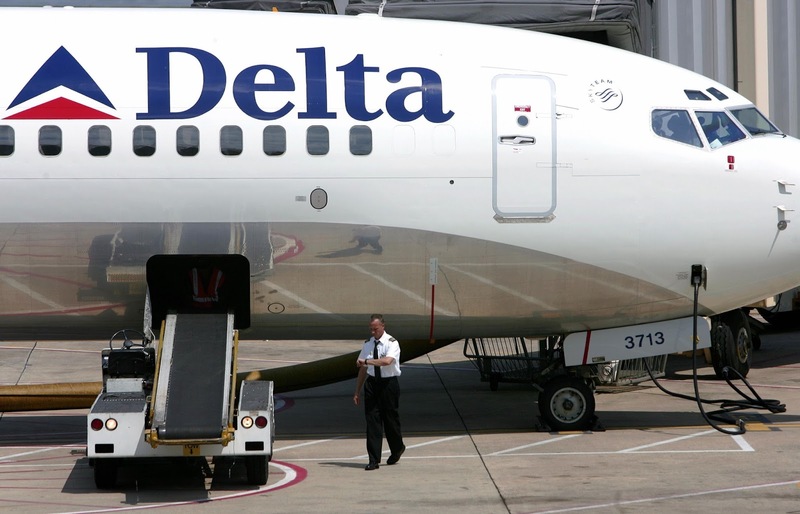 The incident comes days after a woman complained that she was charged $500 for an apple that was handed to her as a free snack by an employee on a Delta Air Lines flight. The passenger, Crystal Tadlock, did not feel hungry at the time so she put it in her carry-on bag and forgot all about it. A random search by United States Customs and Border Protection after she had landed in Colorado revealed the apple. “He (a customs officer) asked me if my trip to France was expensive. I said, ‘Yeah.’ I didn’t really get why he was asking that question. And then he said it’s about to get a lot more expensive after I charge you $500,” Tadlock said.